Muslim Spain gave rise to two unusual figures in the mystical tradition of Islam: Ibn Masarra (269/883-319/931) and Ibn al-'Arabi (560/1165-638/1240). 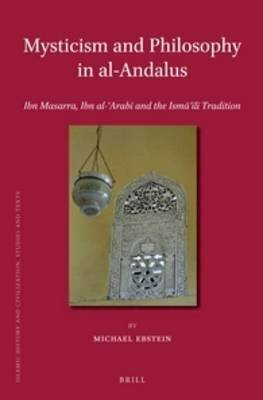 Representing, respectively, the beginning and the pinnacle of Islamic mysticism in al-Andalus, Ibn Masarra and Ibn al-'Arabi embody in their writings a type of mystical discourse which is quite different from the Sufi discourse that evolved in the Islamic east during the 9th-12th centuries. In Mysticism and Philosophy in al-Andalus, Michael Ebstein points to the Isma'ili tradition as one possible source which helped shape the distinct intellectual world from which both Ibn Masarra and Ibn al-'Arabi derived. By analyzing their writings and the works of various Isma'ili authors, Michael Ebstein unearths the many links that connect the thought of Ibn Masarra and Ibn al-'Arabi to the Isma'ili tradition.